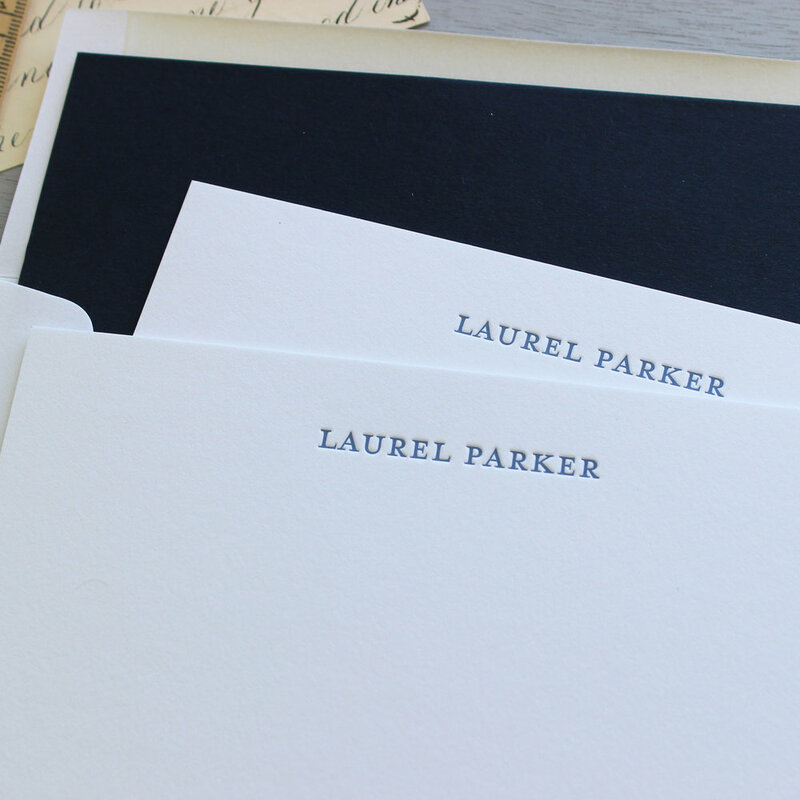 This custom notecard set is truly a classic. The name is written in a serif font, which has a formal feeling, but is suitable for anyone. This stationery set looks wonderful in any color, bright or dark. 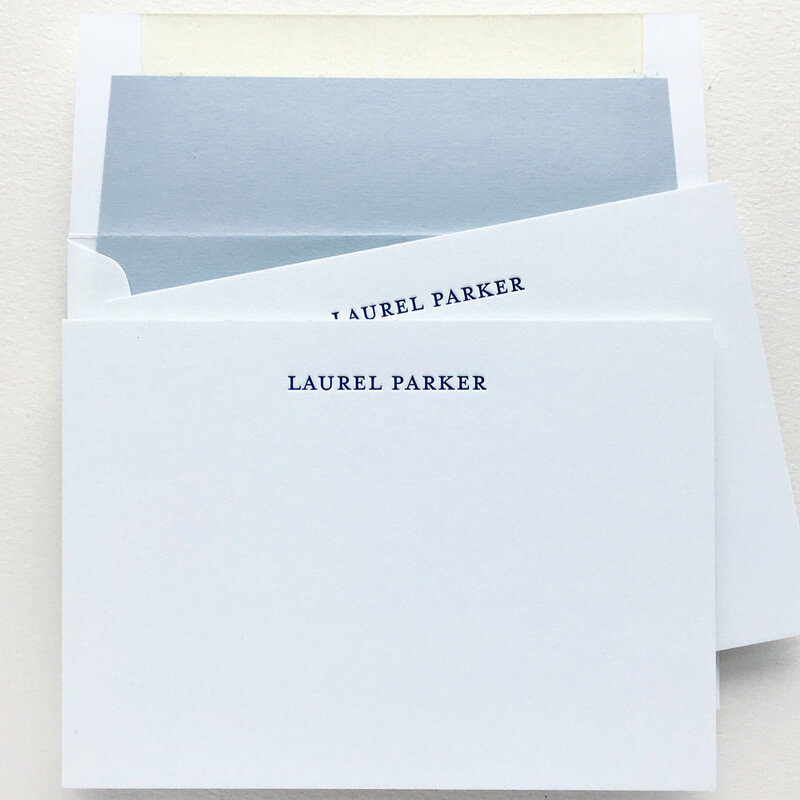 It is featured here in soft, slate blue ink with a contrasting navy blue envelope liner. They're a great custom gift for a friend who sends handwritten notes or newlyweds with thank you's to write.